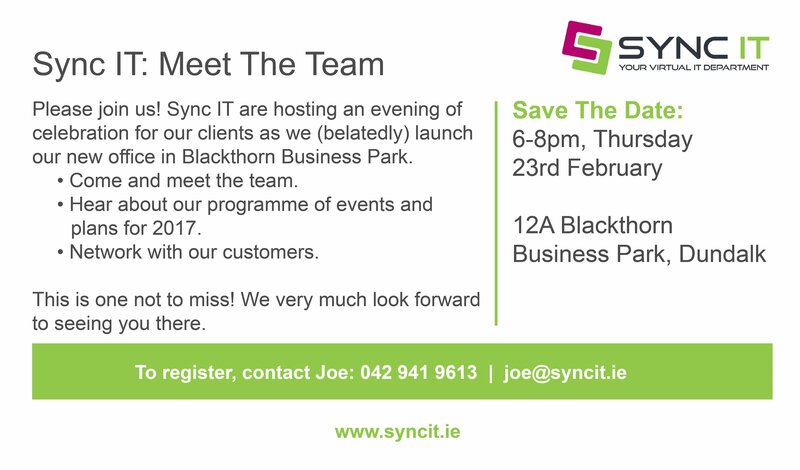 Sync IT is a virtual IT department for Irish SMEs based in Dundalk, Co. Louth. Collateral development formed a cornerstone of a broader marketing project that included email marketing, social media marketing on LinkedIn and search engine optimisation. This covered a wide range of digital and print media including case studies, print advertisements, event invitations, slide deck templates, web content and brand reminders such as mousemats. A sample of this work can be found below.